Thursday was a relatively quiet day on Wall Street, with major benchmarks generally giving up modest amounts of ground after strong performance earlier in the week. The Federal Reserve issued its latest comments on monetary policy during the afternoon, choosing to leave interest rates unchanged, as expected, but setting the stage for a potential rate increase in December. Uncertainty about the trajectory of the U.S. economy in 2019 and beyond, along with political wrangling following the midterm elections, left some investors nervous. But a few companies had good news that sent their stocks sharply higher. Crocs (NASDAQ: CROX) , TripAdvisor (NASDAQ: TRIP) , and Scientific Games (NASDAQ: SGMS) were among the best performers on the day. Here’s why they did so well. 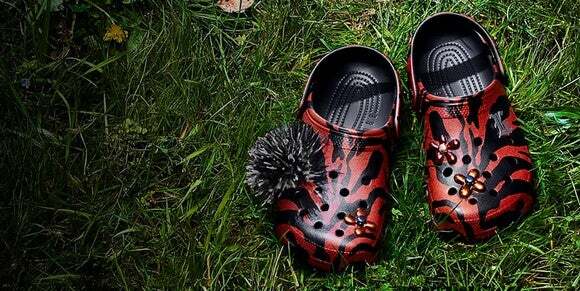 Shares of Crocs soared almost 28% after the footwear specialist announced strong third-quarter financial results. Revenue rose 7%, and Crocs reversed a year-earlier loss with a solid profit for the period. CEO Andrew Rees was especially pleased with margin improvement in conjunction with strengthening of its core brands, and the company also boosted its guidance for the remainder of the year. With early optimism about the prospects for continued growth in 2019 as well, Crocs believes that it can navigate a transition toward a greater emphasis on e-commerce to produce long-term success for the company. Many investors haven’t noticed, but Crocs stock has been on a major run lately , and its shareholders are the big winners. Finally, shares of Scientific Games rocketed 25% higher . The maker of slot machines and other gambling equipment and systems said that revenue rose by 7% during the third quarter of 2018 compared to the previous year’s quarter, and after adjusting for various restructuring and litigation-related charges, bottom-line results were promising as well. Scientific Games also whetted investors’ appetites by saying that it might do an initial public offering of its fast-growing social gaming business subsidiary, which would serve the dual purpose of helping the parent pay down debt while letting the social gaming division pursue its own growth initiatives. Shareholders liked that idea, and it’ll be interesting to see if Scientific Games follows through. Dan Caplinger has no position in any of the stocks mentioned. The Motley Fool owns shares of and recommends TripAdvisor. The Motley Fool has a disclosure policy .